Adversity brings forth adaptation. Mercedes' all new GLA is here and will almost definitely give the Q3 a good run for its money. Audi has responded to the threat with a new, range topping version of their successful compact SUV. The Dynamic isn't a drastic improvement over the Q3 we know and quite like, but it gets some new features that make it that much more of a premium machine. Of these features, the biggest is Audi's Drive Select. Usually reserved for more expensive Audis, Drive Select allows you to control various aspects of the car like the suspension stiffness, steering feel and engine responsiveness. The Q3 gets a slightly simpler version of Drive Select and you get three modes to play with - Comfort, Auto and Dynamic. What's missing is the Eco mode and the option to individually set up each parameter. It may be simpler, but the system works well. Dynamic mode adds weight to the steering (but it still lacks feel) and stiffens up the suspension quite a bit. It's nice for a smooth and fast mode but we found that Comfort mode was best for our rough roads. Or you can simply leave it in Auto mode and let the car make the transition automatically as speeds rise. You can cycle between modes via the MMI controller or using the dedicated Drive Select button on the centre console. Audi has also tuned the Q3's suspension for the Dynamic variant. It's slightly softer now and gives the car a nice and isolated feel from the road when you're cruising. However, like before, sharp bumps can cause a bit of clatter from the front suspension. 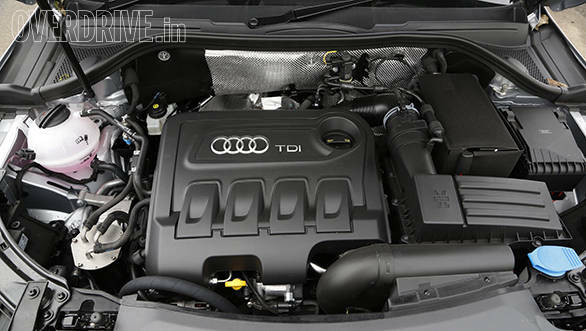 The mechanicals otherwise remain the same which means you get a refined but potent 2.0-litre 177PS diesel motor. The Dynamic only comes with the diesel for now and you can't have it with the potent 2.0-litre turbo petrol. Power goes to all four wheels via a quick witted 7-speed dual clutch gearbox. While it may be slightly softer, the Q3 still retains its point and shoot performance and the ability to confidently carry high corner speeds thanks to the all-wheel drive system. Our tests show an 8.7 second run to 100kmph and a top speed of 211kmph. 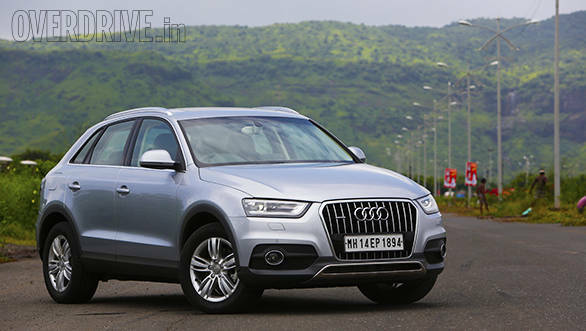 The Q3 is fairly efficient as well, returning an overall figure of 12.3kmpl. All in all, it's still a thoroughly enjoyable car to drive, both at leisurely speeds and at a pulse raising pace. 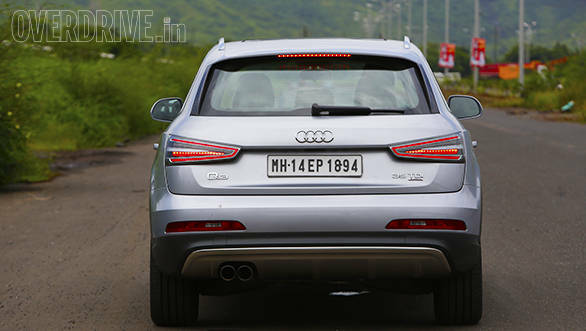 The Dynamic variant doesn't get any identifying badging but there are a few design details that will help bystanders know they've just been passed by the most expensive Q3 on sale in India. The 17-inch wheels are new while the body gets Audi's rugged looking off-road package for the bumpers and skirting. There's a panoramic sunroof, all chrome grille and clear lenses over the LED tail lamps. The insides get plenty of luxury like four way electrically adjustable seats, auto headlamps and wipers, walnut trim and more. But Audi continues to offer the Q3 with a manually adjustable day/night rear view mirror which feels grossly down market in a car of this value. The Q3 comes with proximity sensors at the front and back but there's no parking camera on offer. This is a little disappointing when you consider that cars that cost many times less are offering these features. Look beyond these small omissions and you have an already luxurious and well engineered car that just got a little bit better. 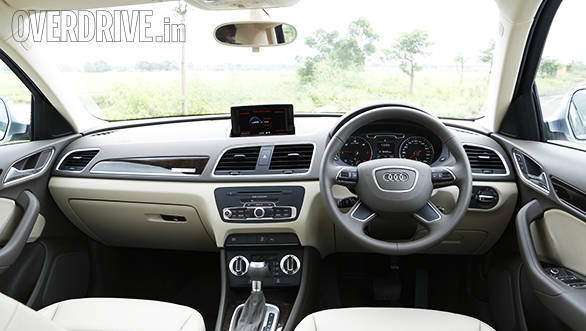 The Q3 Dynamic retails at Rs 38.4 lakh ex-showroom which equates to an on-road price of around Rs 46.5 lakh. It's expensive but it's also one of the best 'entry level' premium SUVs on sale today. Audi is armed and ready for the inevitable fight.